If you do not currently have the collection service, you need to subscribe to service with your city’s service provider(s) in order to come into compliance. Click on your city on the Cities Overview page to get contact information. If you already recycle or compost, see below for how to provide the Alameda County Waste Management Authority (ACWMA) with information to update our records. If you received a different violation than those listed above, please click here to learn how to correct other violations of the Mandatory Recycling Ordinance. To update our records, the course of action you will need to take to avoid additional enforcement action for this/these violation(s) depends on the type of hauler you use to collect your recyclables or organics. 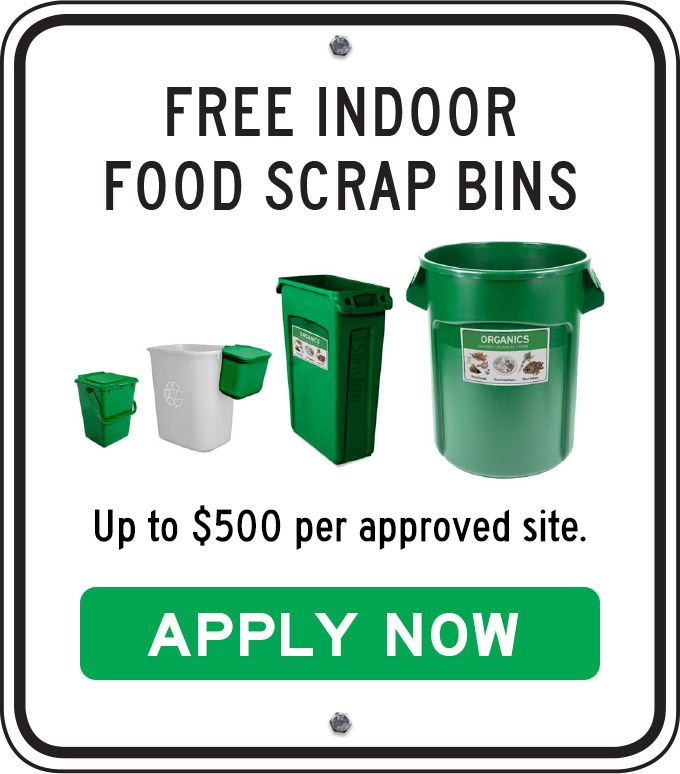 If you have recycling and/or organics collection service by a franchised recycling or organics hauler, please fill out the online form on our Submit Documentation page. Franchised haulers in Alameda County include: Alameda County Industries (ACI), Berkeley or Richmond Sanitary Service, California Waste Solutions (CWS), City of Berkeley, Ecology Center, Livermore Sanitation, Inc. (LSI), Pleasanton Garbage Service, Republic Services (formerly Allied Waste Services), Tri-CED Community Recycling, and Waste Management. If you have arranged for recyclables or organics collection services by self-hauling, back-hauling, contracting with a third party recycler (service provider other than or in addition to one of those listed above), or sharing service with another account holder, you will need to complete the Certification of Recycling Service Form. See below for instructions. 1. Print, fill out and sign the Certification of Recycling Service Form. Each material type should be accounted for in the documentation. Recyclables “covered” in the Ordinance include cardboard, newspaper, white paper, mixed recyclable paper, recyclable glass food and beverage containers, metal (aluminum and steel) food and beverage containers, and PET (#1) and HDPE (#2) plastic bottles. Organics “covered” in the Ordinance include discarded food and compostable paper. For multiple business locations, list the principle location on the form and then attach a separate sheet listing all other business locations. Completed forms will be reviewed and ACWMA records updated to reflect the appropriate services or program in place at your business. Routine inspections of the garbage service at the business location will continue and a violation may be issued for other violations of the Mandatory Recycling Ordinance. For questions, please use the Contact Us form or call the Mandatory Recycling Help Line at (510) 891-6575 to leave a message for a call back. 2. Submit form via Email, Fax, Mail, or using the upload form below. Please include supporting documentation as described on the form, if needed. Be sure the upload has both sides of the form if you are describing shared service. Additional documentation can be part of the same file or as separate files. If you would like an auto-generated email confirmation of your upload submission, please provide your email address.